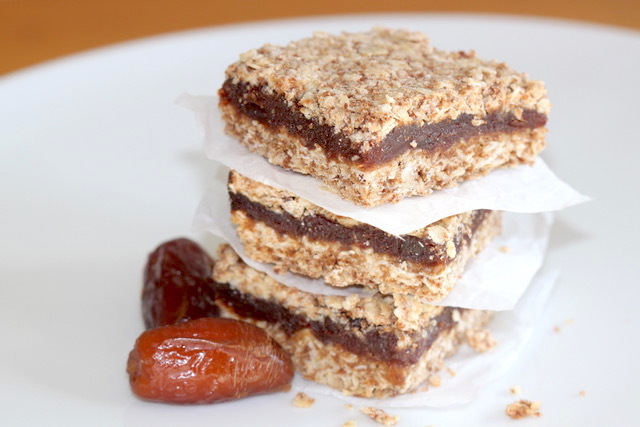 CHEF TALK: This dish is incredibly delicious, nutritious and chock full of goodness. Choose the very best of ingredients: the brightest orange yam; the freshest head of cauliflower, and the most attractive pomegranate that you can find at the grocers. Pan roasting the diced yam is a great technique. 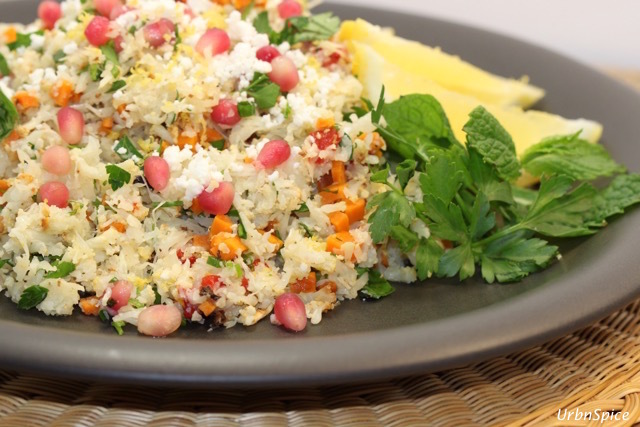 It bejewels the dish even further with its bright orange cubes in this colourful side dish. 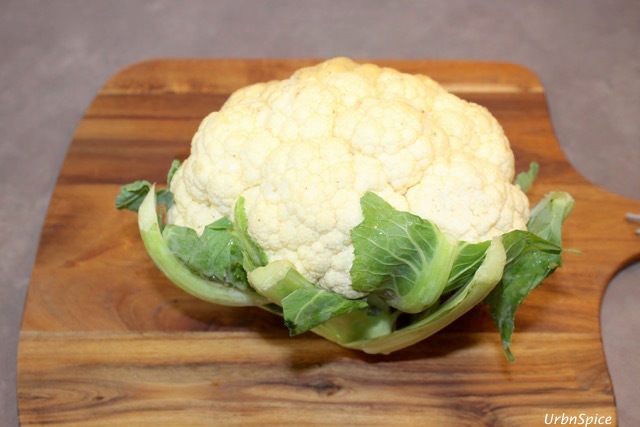 If you steam the cauliflower, the cauliflower is a vivid white. If you roast the cauliflower and rice it, it looks like brown rice. 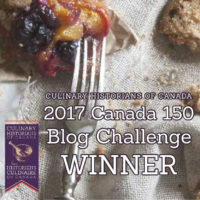 As always, read through the recipe first as there are a few techniques and pointers to ensure your success in making this easy-to-make dish. CHEF TIP: You will need to consider the size of the head of the cauliflower when allocating some of the ingredients. For example, if you have a larger head of cauliflower, you will require more lemon juice and olive oil, etc. Steaming the Cauliflower: In a saucepan with a steam insert, place cauliflower florets and steam until al dente (5 – 10 minutes). Remove from the heat, refresh the cauliflower in an ice bath to stop the cooking process. 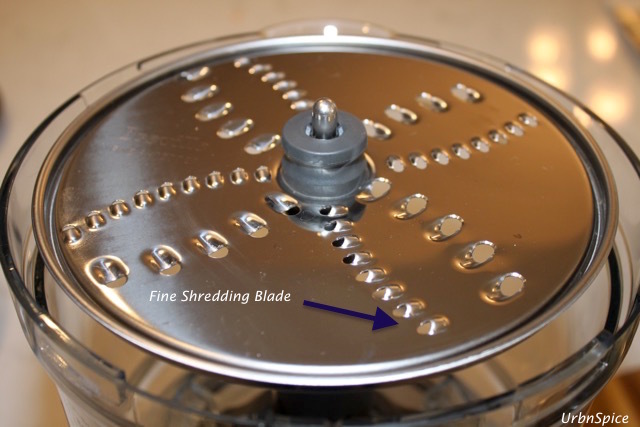 Drain well and put into a large bowl to cool slightly. 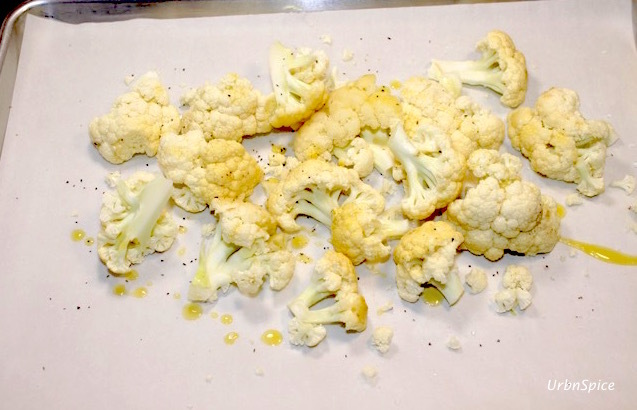 Roasting the Cauliflower: Place Cauliflower florets on a parchment-lined baking sheet. Toss with olive oil and season with salt and pepper. 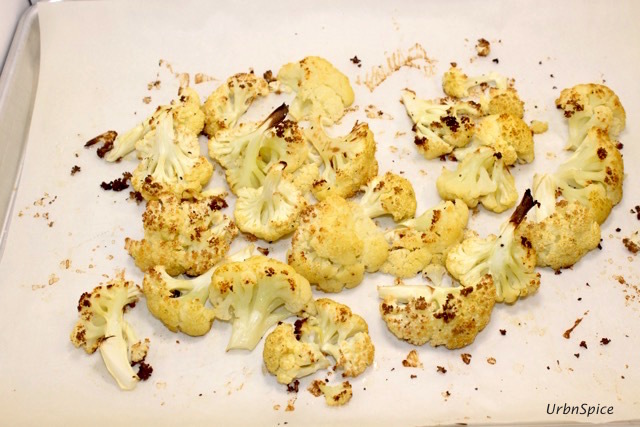 Roast at 35o°F for 20-30 minutes or until the cauliflower starts to brown around the edges (as shown in the photo below). Cool slightly. To Prepare the Yam: Preheat a large frying pan over low to medium heat. Pour the olive oil into the pan. Place the diced yams into the frying pan and pan roast until tender and golden in colour, spreading in a single layer and pressing down with a spatula. Season to taste with salt and pepper. Cool. Add to the bowl, reserving a little for garnish. Chiffonade the mint, and chop the parsley leaves coarsely. Trim and finely slice the green onions, then stir this through the cauliflower rice along with the herbs, the lemon zest, the lemon juice, and olive oil. Reserve a little parsley, spring onion and lemon zest for garnish. Dry the roasted red pepper with a paper towel. Cut into a fine dice. Add to the bowl of ingredients. Taste the dish and adjust for seasoning with salt and pepper. Crumble the feta cheese and sprinkle the reserved garnish ingredients over the dish. 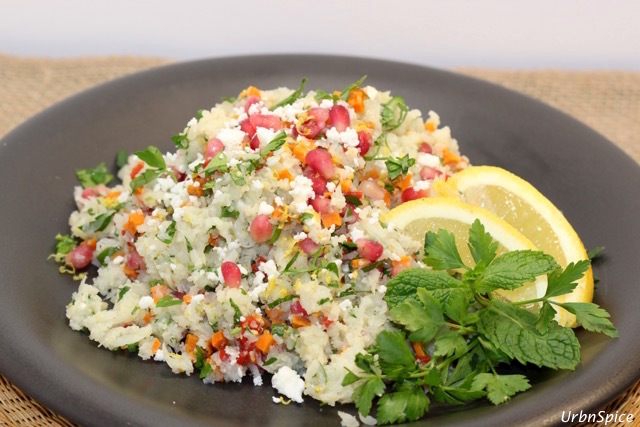 If you give this delicious recipe for How to Make Cauliflower Tabbouleh a try, please come back and leave me a comment below with your feedback. Urbnspice Facebook Page – if you like what you see here, please LIKE my Facebook page. I would love that. Thank you! 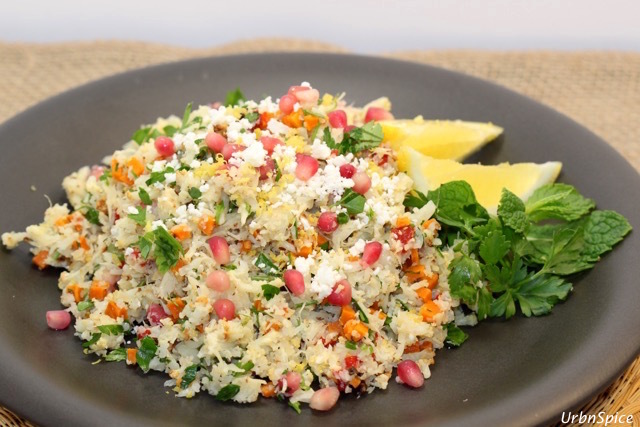 I haven’t yet made cauliflower rice, let alone tabbouleh. But I love everything about this dish! Being vegetarian I am always looking for more ways to have tasty and nutritious meals and I can add now this dish to my collection. Thank you for sharing! That’s a lot of chopping! Thank goodness for food processors…I bet this salad is worth it though. Nice work Denise! Yes, the food processor makes this very easy, although the cauliflower is easy to deal with once roasted or steamed and easily chopped with a knife. 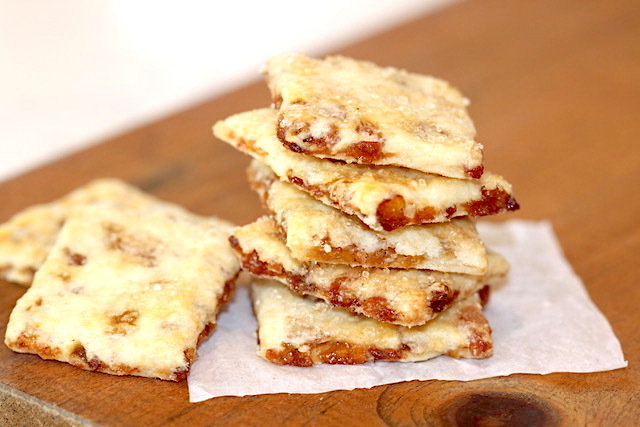 It is a delicious dish and one that has fast become a family favourite. Thank you for your comments and for visiting UrbnSpice, Bernice. 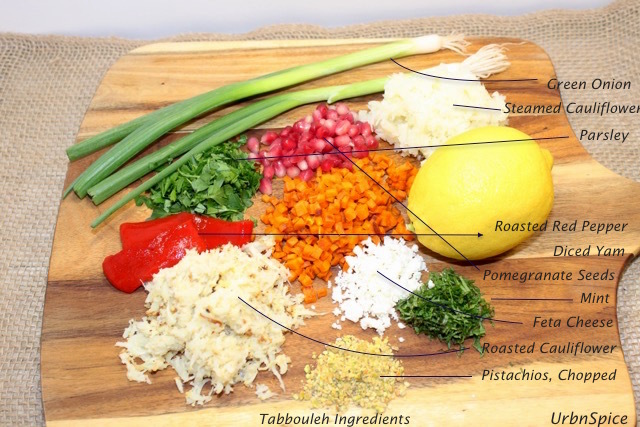 I love tabbouleh,adding cauliflower is such a great idea! 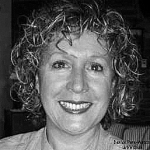 Thanks, Pamela! It is a delicious dish. If you try it with your beautiful roof top garden grown cauliflower, please let me know ? I want to hear all about it.